U.S. Vice President Mike Pence warned Turkey on Wednesday against buying a Russian S-400 anti-missile system, keeping up pressure on the NATO ally to abandon a purchase that Washington views as a threat to U.S. military equipment. The United States and Turkey remain at loggerheads over Ankara’s plan to buy the air defense system from Russia, which Washington believes would compromise the security of its F-35 fighter jets, made by Lockheed Martin Corp.
Turkish Foreign Minister Mevlut Cavusoglu said Turkey has proposed to the United States that they form a working group to determine that Russian S-400 missile defense systems do not pose a threat to U.S. or NATO military equipment. 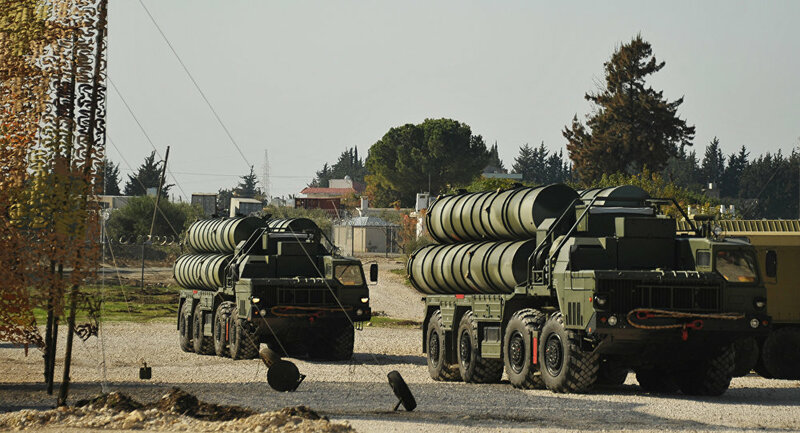 Ankara says it needs the S-400s, to be delivered in July, to defend itself, as Turkey faces threats from Kurdish and Islamist militants at home and conflicts in neighboring Syria and Iraq. The United States hopes to find a way out of the dispute by convincing Turkey to purchase the U.S.-made Patriot air defense system, made by Raytheon. Turkey is also looking into a French-Italian system based on the SAMP-T missile systems.